The most recent horticultural addition is the Oklahoma Rose. 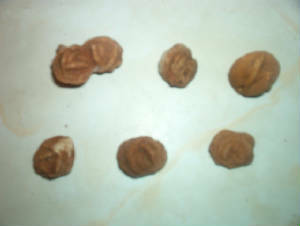 It is disease resistant and heat tolerant. Oklahoma Rose is the 'Daughter' rose of 5 parent plants, 'each representing one of the Five Civilized Tribes'...has petal count between 45-55, in line with Oklahoma's admission as the 46th state. 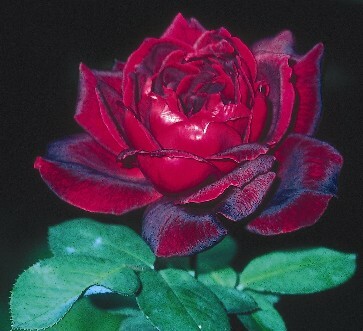 It is a lovely,velvet double cabbage dark ebony red hybrid rose with a potent sweet fragrance. It was runner up to Mr. Lincoln for All American Rose. The name 'OKLAHOMA' comes from the Choctaw words 'Okla' meaning people and 'Huma' meaning red, so the state's name literally means 'Red People'. On November 16, 1907 Oklahoma became a state! "when gold was found in Georgia, the Government forgot its treaties and drove the Cherokees to Oklahoma. One-fourth of them died on the journey west. But God looking down from Heaven, decided to commemorate the courageous Cherokees, and so, as the blood of the braves and tears of the maidens dropped to the ground, He turned them into stone in the shape of a Cherokee Rose, a flower native to the tribe's eastern home." Rose rocks are concentrated in a narrow belt that extends 80 miles through the central part of Oklahoma. The Scissor-Tailed Flycatcher is a somewhat quiet bird with beautiful plumage and a long sleek tail that is twice as long as its body. The deeply-forked tail resembles a pair of scissors. 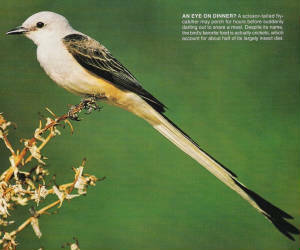 The Scissor Tailed Flycatcher has a black and white tail, a dark gray back, a light gray chest and head and has pale range red coloring beneath its wings. Despite its name, the bird's favorite food is actually crickets, which account for about half of its largely insect diet. 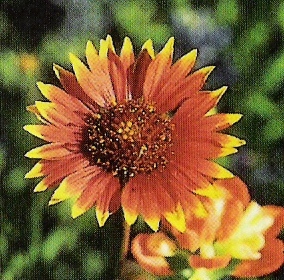 The Oklahoma State Wildflower, the Indian Blanket (Gaillardia pulchella) is a red flower with yellow tips. It symbolizes Oklahoma's scenic beauty as well as the state's Indian heritage. Indian Blanket flowers bloom from May to August. It was approved as Oklahoma's official state wildflower in 1986. The legend tells of an old Indian blanket maker whose talent for weaving produced such beautiful blankets that other Indians would travel many miles to trade for one. The old blanket maker had never taken an apprentice and when he realized he had only a short time left, he began weaving his own burial blanket. It blended his favorite browns, reds and yellows into the beautiful patterns for which he was so famous. In time, the old man died and his family wrapped him in this blanket which was to be his gift to the Great Spirit when they met. The Great Spirit was very pleased because of the beauty of the gift but also saddened because he realized that only those in the Happy Hunting Ground would be able to appreciate the old blanket maker's beautiful creation. So, he decided that he would give this gift back to those that the old Indian had left behind. The spring following the old man's death, wildflowers of the colors and design of the old Indian's blanket appeared in profusion on his grave to bloom and spread forever.